The Pepper Cream Soda was one of the initial releases by Bellatto / Caldwell / Sears, a company previously known as Impromptu Cigars. The company is a collaboration between Tony Bellatto, Robert Caldwell and Jaclyn Sears. Bellatto is one of principals of La Barba Cigars while Caldwell and Sears are a part of Caldwell Cigar Company. The Bellatto / Caldwell / Sears collaboration is a different venture from Caldwell Cigar Company and La Barba Cigars. It is a company focused on small batch releases that are “a continuing series of extremely limited production blends of some of the most rare, exotic and hard to acquire tobacco varietals that the boutique cigar industry has yet seen”. Recently I’ve had an opportunity to smoke the Pepper Cream Soda in the Robusto size from the initial 2014 release. Overall I found this to be one outstanding cigar release. The name Pepper Cream Soda is unorthodox. It is worth noting the cigar has also been referreed to as According to the company, the unusual names are deliberate. The intent to to not use pre-incarnated names, but name the cigars based on attributes such as tasting notes, blends, and countries of origin. The case of the Pepper Cream Soda refers to the flavor profile of his cigar, which as we will see is accurate. Without further ado, let’s take a closer look at the Pepper Cream Soda and see what the cigar brings to the table. The Pepper Cream Soda was reeled in 2014 in a Robusto format. A total of 2,500 cigars have been produced. Bellatto / Caldwell / Sears has announced 1,800 cigars of a 6 x 50 Toro will be released in 2015. The Araparica wrapper of the Pepper Cream Soda Robusto has a cinnamon color to it. Upon closer examination, some darker marbling can be seen. The complexion to the wrapper is on the oily side. There are some visible veins. The wrapper seams that are visible are quite thin. The Pepper Cream Soda is an unbanded cigar. Prior to lighting up the Pepper Cream Soda Robusto I went with my usual choice of a straight cut. Once I removed the cap, I moved on to the pre-light draw. The cold draw took a little while to get going. At first I got some bready notes. This was followed by a a pepper note and then a slight natural tobacco note. This wasn’t the most exciting pre-light draw I had, but since we do not factor in the pre-light draw into our assessment rating or score there is no loss of points here. At this point, I was ready to light up the Pepper Cream Soda Robusto and see what the cigar experience would have in store. The Pepper Cream Soda Robusto started out with a sharp pepper spice that was almost a cross of red pepper and jalapeno. One the pepper subsided, a syrupy natural tobacco note emerged in the forefront. In this author’s mind, a “syrupy” note is one that has some sweetness, but coats the palate nicely. At the same time some graham cracker notes emerged in the background. While I didn’t get any cream soda notes at this time, there was a slight seltzer note on the tongue that lingered. Meanwhile the retro-hale produced an herbal spice. By the end of the first third, the seltzer flavor soon started to emerge and eventually found its way into the forefront with the syrupy natural tobacco. The pepper and graham cracker notes were secondary. Meanwhile on the retro-hale, the pepper notes transitioned to a more traditional black pepper. In the second third, the cream soda note emerged from the seltzer and became the primary note. The syrupy natural tobacco moved between the forefront and background. The pepper notes remained a secondary note while the graham cracker was now a distant tertiary note. In the last note, I found the seltzer re-emerged. The pepper notes moved into the forefront. I found the natural tobacco note and graham cracker notes had dissipated. There was still a slight creamy note present in the background. This is the way the cigar experience came to an end. The Pepper Cream Soda had no harshness in these last stages. The resulting nub was slightly warm and firm to the touch. Overall I found the burn of the Pepper Cream Soda Robusto to perform quite well. The burn line remained straight from start to finish – requiring only some occasional touch-ups. I didn’t find the ash to be the firmest, but at the same time, the ash wasn’t prone to any significant flaking or ash dropping. The ash itself was a charcoal gray color. The burn rate was ideal. I found the burn temperature to be ideal, but on the last few puffs, I did get some warmness. This warmness didn’t result in any adverse effects as the cigar experience was pretty much over. The draw to the Pepper Cream Soda was excellent. I didn’t find it too loose, but I didn’t find it too tight. I did find this cigar produced quite a bit of smoke as it burned. The Pepper Cream Soda is not going to be an overpowering cigar in terms of strength and body. I found this cigar to be a medium strength cigar from start to finish. As for the body, despite some of the “syrupy” natural tobacco notes, I still didn’t find the Pepper Cream Soda to be a cigar that had a lot of weight on the palate. I assessed it as medium-bodied from start to finish and in the last stages, I found it had progressed to medium to full-bodied. Overall the strength and body balanced each other nicely, but in the last third I thought the increase in body gave it the edge. In several reviews I’ve mentioned how I thought the power of suggestion could play into what flavors are detected. In the end, it’s a very subjective thing. While I do feel confident I got many notes of “pepper and cream soda”, I do wonder if the cigar name factored into this conclusion. 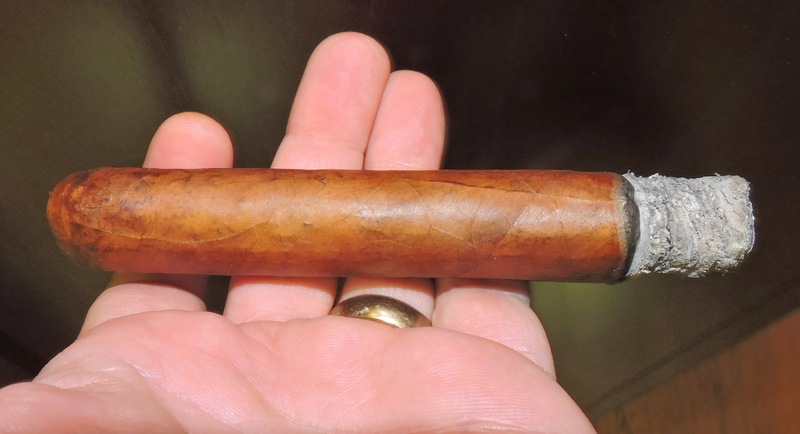 What I can say is that this was a fantastic cigar – loaded with flavor and complexity. The Robusto was the size of this cigar released for 2014 and it seemed ideal for this vitola. I’m still curious to see how the Toro size will smoke. If you are looking for a unique and different smoke, the Pepper Cream Soda is for you. The only problem is finding this cigar is going to be difficult. I’d recommend this to a novice or experienced cigar enthusiast. 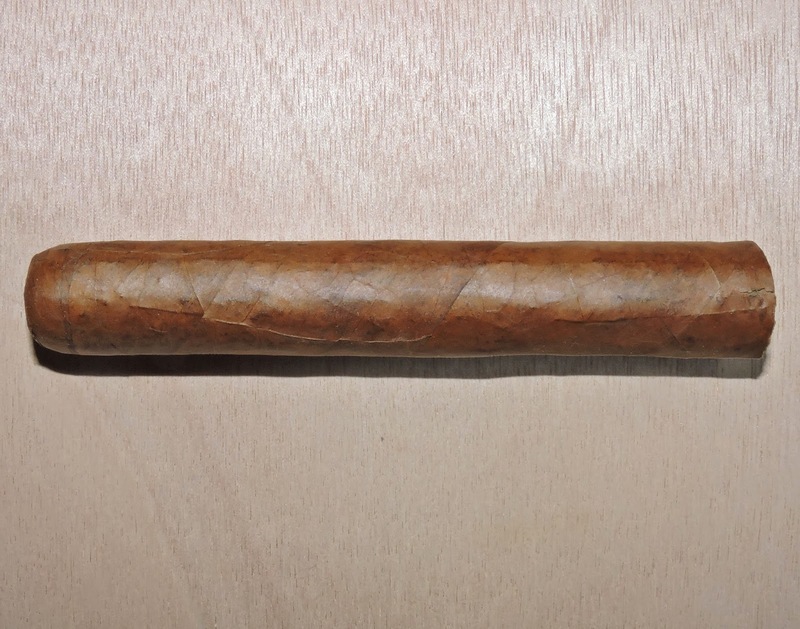 As for myself, this is a cigar I’d definitely smoke agin – and it’s easily box worthy.